Welcome to Burtech Plumbing, San Diego County's most trusted team of plumbing professionals. When plumbing problems happen, you need a plumber you can trust. There's a reason why we've been in business for over 20 years. Our team of licensed and trained technicians are fast, clean and efficient. We can handle any size job, large or small. Since our plumbers aren't paid a commission or have sales quotas to meet, our only objective is to fix your plumbing problem with 100% customer satisfaction. Do you have a big project you need completed, but don't have the cash? Burtech Plumbing offers financing on repairs, replacements, and/or service over $500. This includes plumbing and drain repairs, water filtration, water heater installation, and fixtures. Some restrictions apply. Call us at 760-634-5134 for details. Burtech Plumbing specializes in ALL plumbing, service, repair, installation and drain services. Serving all of San Diego County, and with over 25 years of experience, we are most qualified to handle your plumbing and drain needs. Whether you are a homeowner or have commercial property, we are the company to keep your pipes flowing! 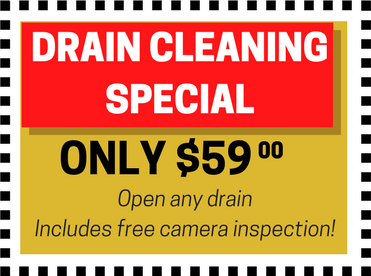 We are not your run-of-the-mill plumbing company; we have worked hard to specialize in trenchless repair, drain cleaning, camera inspections and much more. When you hire a plumbing company, it's important to work with someone you can trust. Burtech Plumbing is current and in good standing with California's Contractors State License Board. Burtech Plumbing is also registered with the CSLB HIS program. This means our technicians have passed a background check and comply with the State's regulations.